Fine-tuned, Blazing Fast and are ready for you to Serve . . .
Our Virtual Machine solutions (VM) services come packed full of features with free managed hosting control panels and reselling facilities! We don’t offer any gimmicks. Your only service restriction is the Memory! No Domain, Inode Usage or Mail Sending limits EVER. VM is the power you need On Demand just like VPS — build the perfect solution for your project/business with our flexible Managed Hosting pack. 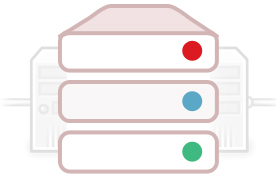 Your service will be hosted with dedicated resource facilities without root access. Need your website migrated off of an old provider? We’ll do it free of charge! We offer nightly backups too! Giving you complete access to manage your website, email, databases, and more with 3 different type of free Control Panels! HostSEO’s Private Virtual Machines harnesses the potential of the cloud in your own, logically isolated environment—built to scale for the needs of any application. Quick to deploy and easy to manage through given intuitive control panel. Our managed and optimized vm solutions are an enterprise-class computing environment that offers flexibility and cost-efficiency without compromising security.